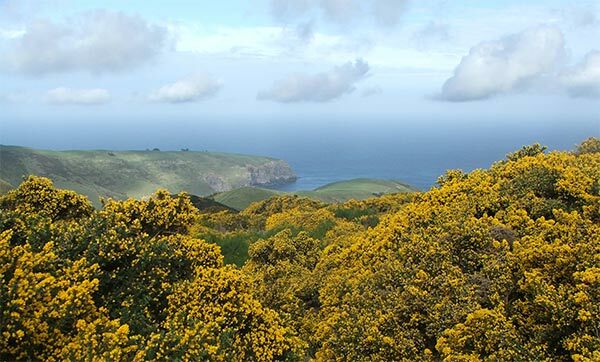 The Gardens of Hinewai are 1050 hectares of New Zealand bush and grassland, on Banks Peninsula, overlooking the Pacific Ocean. I spent a sunny spring day with my walking group, exploring a loop track. The trip notes used the word 'undulating'. For a pair of fifty-something legs, this seemed rather euphemistic! It was to be a typical walking day - up, up, up - followed by across, across, across, finishing with down, down, down. The bush held many surprises, though - and many perfect places to stop (phew!) and take photographs. Every so often we'd pass a large, discretely labeled native tree - a totara, then a kahikatea, six hundred years old, giant guardians standing tall amidst a mass of tiny leafy neighbours. Then our track would meander through a magical forest grove, open and airy, and we'd skip like woodland sprites through the beech trees. The image of sprites in hiking boots possibly has a heavier, gnome-like feel to it. But there are places in the New Zealand bush where anything seems possible - remember that the Lord of the Rings was filmed here! Our track descended through several rock-filled stream gullies, full of large tree ferns. Smaller ferns hugged the rocks. It was dark and mysteriously gloomy - not the ideal place for an intrepid photographer. But I tried! The barer hillsides had extensive patches of gorse. This introduced yellow flowering plant is an invasive pest - thanks a bunch, early English colonists. 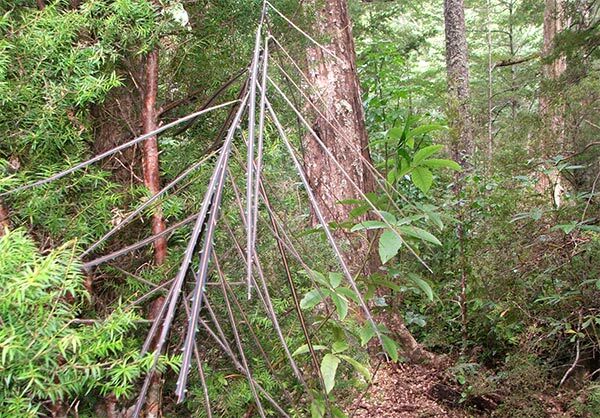 It's an eyesore for some New Zealand environmentalists, but 'Every thorn has its rose', to invert a famous saying. The gorse definitely stops erosion, and acts as a nurse plant while the slow-to-regenerate native species get organised. I could have stayed at home to weed out gorse seedlings in my own garden (tenacious survivors of an old gorse hedge). But I had much more fun on this trip. And I was able to honour my pledge to upskill my botanic knowledge. I poked the camera into Lancewoods, Olearias and Pittosporums. I also photographed their labels. 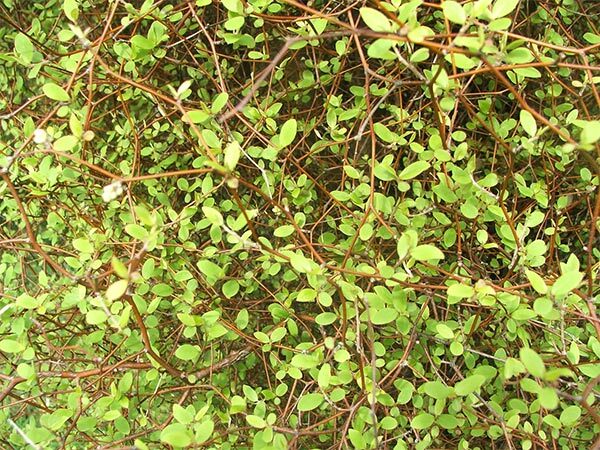 I love the textures of the New Zealand bush. So I spent ages taking close-ups of the cutest jagged-leafed plant. 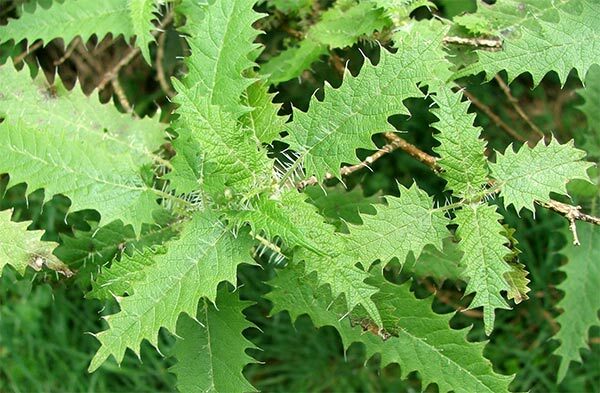 Lucky for me no contact was made, as this turned out to be a particularly nasty native stinging nettle, requiring lashings of antiseptic cream for any limbs touched. Oops! The Hinewai Reserve is an hour's drive from Christchurch. 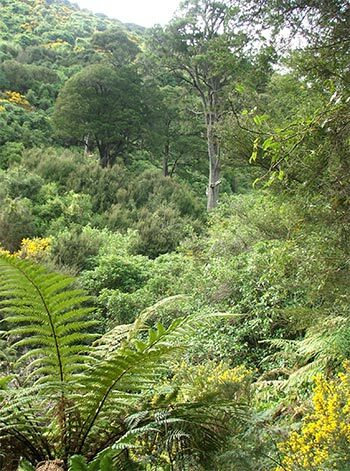 It is managed privately by Hugh Wilson, for the protection and restoration of native New Zealand vegetation and wildlife. This is down-to-earth conservation, and visitors are welcome to share - even to help.